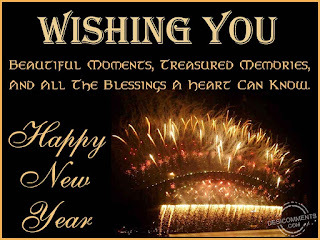 A new year has just begun!! So, we can get advantage of this celebration and prepare a project for our class! Why don't we make something to remember our tradition? Let's put our hand to work!! This is an idea which makes a super class (why not family, too?) project about our tradition. 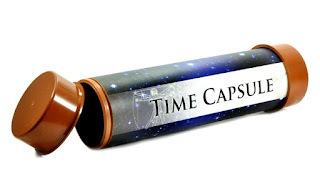 Get the students to make a time capsule for the year ahead, and fill it, together, as the year goes on, with photos, ticket stubs, copies of certificates won, birthday cards, writing samples, and anything else with meaning to our class and lives. At the end of the class year store it away safely and open it some years later with that class to make our memories and tradition be alive. You will have a memory-filled container for the year which you and your students will treasure in the future. And why not each year a new time capsule? A label to identify the time capsule. Rinse out your snack tub. When the tub is dry, paint it. Tip: mix a small amount of glue into the paint to help preserve it. When paint is dry, paint the tub with a layer of PVA glue. Stick on your decorations. We used shiny numbers to add the date and sequin stars to embellish. Now you can fill your tub with precious mementos from the first day of classes (photos, cards, wishes, etc.) and keep it adding things through out the year (tickets, certificates, etc.) before putting it away to be opened in the future.